Do you need to be ready to Tow and Haul in the Hills and the Big Horns? They make trucks that are proven to do the job. The 2018 Ram Heavy Duty 2500 and 3500 from Juneks in Spearfish, serving Rapid City, Gillette, Sturgis, New Castle, South Dakota and Wyoming. 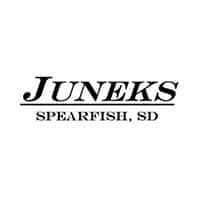 As a long time, new vehicle dealership, Juneks in Spearfish has offered the Ram Heavy Duty for over 40 years and have delivered thousands to customers throughout South Dakota and Wyoming! Browse our inventory to see what is available, then Schedule an Appointment to see what is possible. When you need a powerhouse to help you take care of the tough Sundance jobs, look no further than the new Ram 2500. With its diverse range of trims in both 4×2 and 4×4 drive configurations, there’s a new Ram 2500 to suit just about every kind of Gillette driver. And with burly available engines like the 370-hp, 800-lb.-ft. of torque 6.7L Cummins Turbo Diesel I6 engine, which boasts a max towing capacity of 17,980 pounds, you’ll have plenty of power to tackle just about anything. Visit our family-owned dealership to take advantage of our flexible financing options today! Still not set? Feel free to compare the Ram 2500 to the Ford F-250, the Ram 2500 to the Chevy Silverado 2500, or the Ram 2500 to the 3500. Then, take the drive from Sturgis to Juneks CJDR in Spearfish, SD, to schedule a test drive of the new Ram 2500.